Today is the day that ’Roid Week comes to a close for another year. As a lover of instant film I have had such a great time looking through the ’Roid Week Flickr pool. There are so many inspiring submissions, many by pioneers in this medium who rarely post on Flickr any more. It’ s a real treat and I recommend checking it out if you have some time. That said, have y’all checked out the Mortal Muses Film Friday pool this week? So much instant film goodness to make my heart happy. Just look at this mosaic! 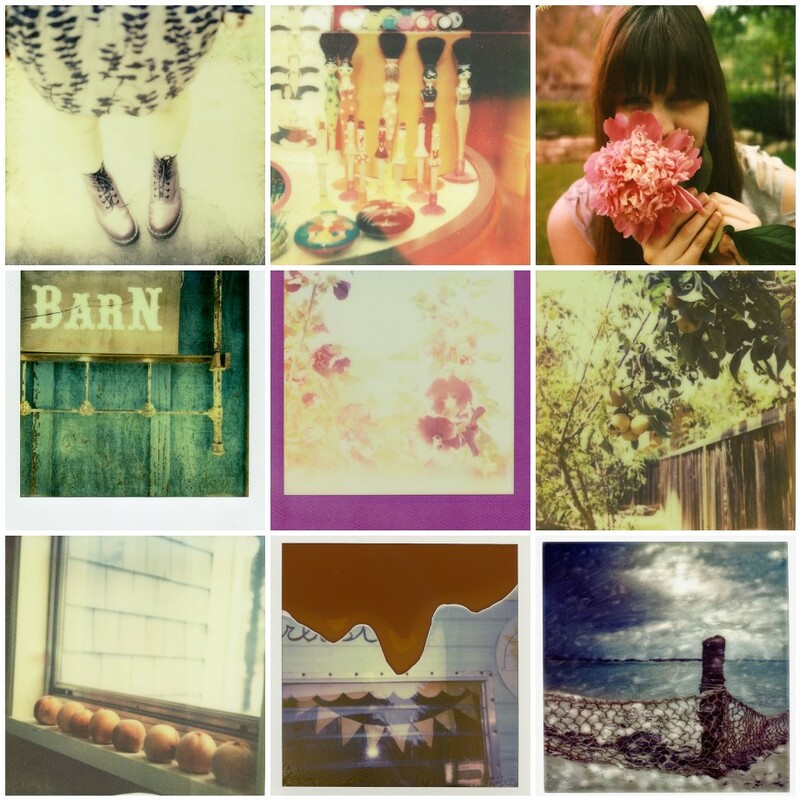 To me this group of photos showcases some of my favourite things about instant film. There are the bright, saturated colours that you can get with old Polaroid 600 film and some of the newer Impossible Project offerings; there are some of the washed-out yellows that I’ve come to really appreciate in the Impossible films; and there are also some happy accidents. Those of us who shoot instant film know that sometimes the pods are poor and sometimes the shielding fails. Sometimes we (I) curse these situations and hope for better next time I click the shutter but other times these imperfections make for a delightful image. These are the things that keep us instant film lovers enthralled. ’Roid Week may be over for another year but I’ll be looking forward to seeing your instant images in the FF pool in the weeks to come. Over the last couple of months we’ve been on a modified posting schedule here at Mortal Muses and hinting at big changes to come. We thank you for staying with us by reading and commenting on posts and contributing your gorgeous images to the Flickr pools. We hope you like our new site. We’ve prepared so much goodness, from a new look to new features and even a new button for you to grab and put on your own blog. We’re so thrilled to be able to share it all with you at last. While the look has changed the desire to inspire and collaborate that is the spirit of the Muses remains the same.